Can a Fibroid be Too Large for UAE? Home » Can a Fibroid be Too Large for UAE? Share the post "Can a Fibroid be Too Large for UAE?" Are you worried that having large fibroids eliminates you as a candidate for UAE? Guess again! UAE may be an optimal option for you regardless of size and location. I have been told that my fibroids are too large and since I no longer have a menstrual cycle the embolization won’t help me. I don’t want surgery. Is there any other help for women like me? Generally speaking, the embolization procedure is capable of treating fibroids irrespective of the size and location; therefore, the size of the fibroids should not be an issue when considering UAE as a viable treatment option. Also, you mentioned that you no longer have a menstrual cycle. Although this does not eliminate you as a feasible UAE candidate, you should consider the idea that often times fibroids tend to shrink on their own after a women hits menopause. 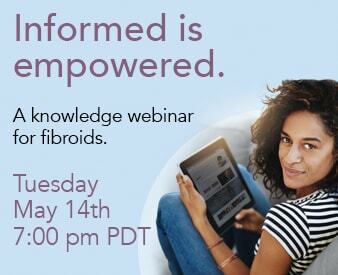 This is not for certain; however, many women tend to experience a decrease in fibroid size after they reach menopause due to a change in their hormone levels. All things considered, being that you are looking to explore a less invasive approach for the treatment of your fibroids, UAE may serve as an optimal approach. If you are considering UAE or have any questions about the procedure, we encourage you to call the Fibroid Treatment Collective at 866-362-6463 so that we can answer any of your questions. You may also want to explore the option of coming in for an in-office consultation with Dr. McLucas so that he can better assess your individual health situation and advise you on what your options are.